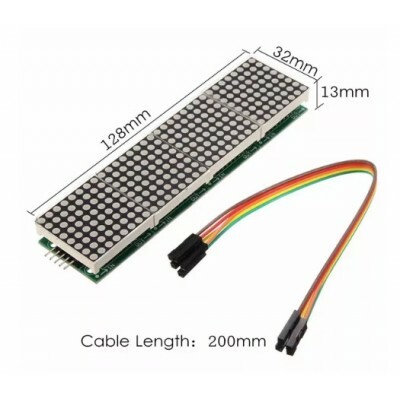 LED dot matrix module made up of total 4 1088AS 8x8 dot matrix modules. Each module has it's dedicated MAX7219 driver and connected in cascade. A simple SPI protocol can be implementeed in any microcontroller to drive this display unit. Super easy to use and configure. Each LED dot is 3mm and emits light in Red color when turned on.